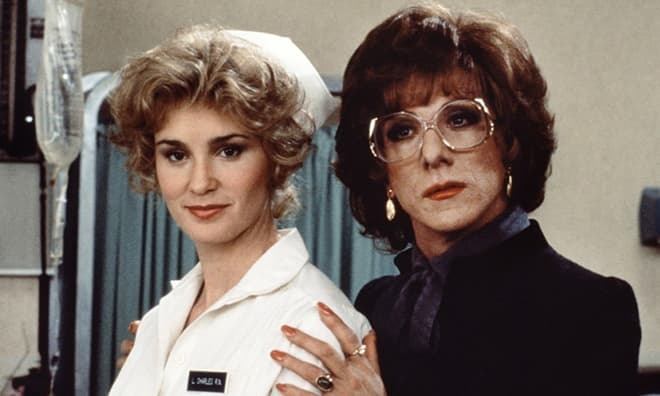 Jessica Lange and Dustin Hoffman in the movie Tootsie Jessica Lange is an American actress and Hollywood star, who is known for her role in the gender-bending farce comedy Tootsie. Despite the first failed experience in the picture King Kong, the actress’s creative resume was successful. Memorable roles brought Jessica Lange two Oscar Awards, three Emmy Awards, five Golden Globe Awards and many other different prestigious nominations. 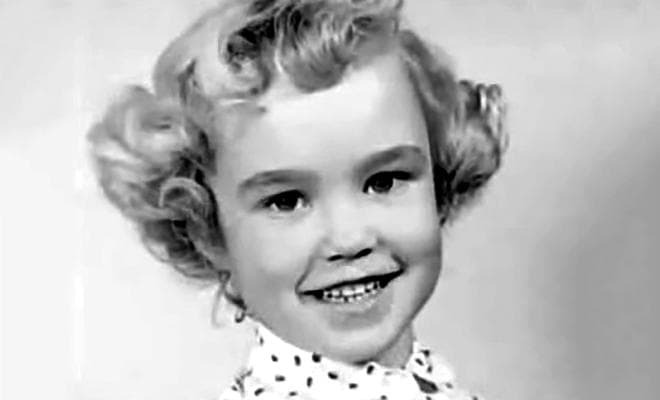 The future actress Lange was born in Cloquet, Minnesota, on April 20, 1949. She was born under the sign of Aries. Her father, Albert John Lange, was a teacher and traveling salesman, and her mother, Dorothy Florence (née Sahlman), was a housewife. Due to the nature of her father's professions, her family moved over a dozen times to various towns and cities in Minnesota before settling back down in her hometown, where she graduated from Cloquet High School. Later, Lange said that in her early life she had changed 18 schools. Frequent movings did not reflect on her studies - she received good grades. Since childhood, Lange was fond of drawing. Perhaps, it was due to a close relationship with her father, who had his own philosophical view of the world, but at the same time, he gave himself to emotions like a child. 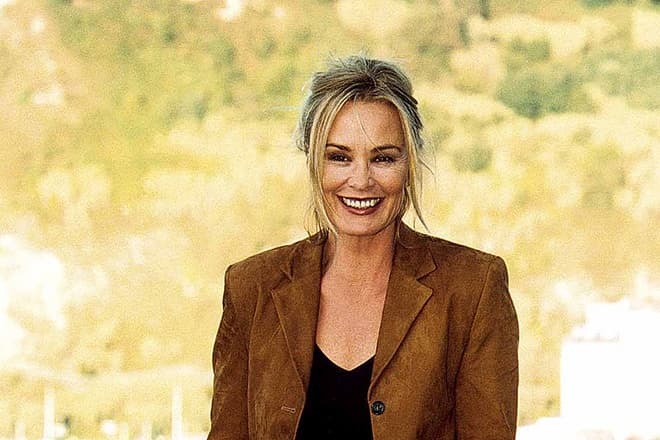 After school, Jessica Lange received a scholarship to study art and photography at the University of Minnesota, and after a year she left college to pursue a more bohemian lifestyle in order to carry out her dream. She always wanted to go beyond the horizon and to understand the unknown. Her company was a Spanish photographer Paco Grande. They were traveling in the United States and Mexico in a minivan and living like hippies until Jessica was tired of such life. So she moved to Paris, where the couple drifted apart and started to study mime theatre under the supervision of Étienne Decroux. Soon this talented girl joined the Opéra-Comique as a dancer and also worked a model, but none of the professions fascinated her. Jessica Lange left the pantomime and became interested in photography. She was living in Paris for several years before Paco called her back to America. New York gave Lange a hostile reception - she started working as a waitress in order to make ends meet. In her free time, she covered herself off from the world and sat for hours, staring into the vacancy. Fortunately, one of her friends brought her to the school of contemporary dances. According to the actress’s words, dances saved her. After several months, Jessica Lange became a model with the Wilhelmina Agency – a pretty girl with a delicate figure, the height of 173 cm and a weight of 52 kg was willingly hired. Paco had begun losing his sight by that time, and she had to be a devil for work. In the fall of 1975, film producer Dino De Laurentiis contacted Lange's modeling agency looking for an actress for the central part to star in his new King Kong movie. An agent at Wilhelmina recommended Lange for the star part. Jessica Lange played a screaming girl when she was 27. The film attracted much unfavorable comment and, as a result, Lange decided not to shoot anymore, but the life had other plans. After this, the directors began to wine and dine the beautiful Lange and showered her on with offers. In 1979, she was given a small but showy part in a semi-autobiographical movie titled All That Jazz, and after that, she had some unnoticeable roles too. But it was her lead role starring across from Jack Nicholson as Cora in the remake of the 1940's classic The Postman Always Rings Twice (1981) that got the attention of critics and viewers. Lange's performance earned rave reviews, and audiences loved her. At the age of 32, she was finally on her way to stardom. Then, she cast in two notable films, which became a significant hit and helped to establish her career, – the biographical drama Frances and a comedy film Tootsie, where actress’s role was the only one of romantic melodrama in the filmography of Lange. More often, she was offered to play parts of intransigent, forceful, independent women. Became very popular, Jessica Lange could choose the roles by herself and made conditions to producers. In 1996, after the filming of A Streetcar Named Desire, the actress announced of her ending in a film career; however, she did not leave acting. In 1997, critics acknowledged Lange's acting talents again in two movies - drama A Thousand Acres and comedy-drama Cousin Bette. In 2002, the actress featured in the films Masked and Anonymous and Big Fish. In addition to many talents, Lange has also developed her craft as a photographer. Communicating with professional photographers, the girl did not dare to begin professionally creating artworks. Only in the 90s, Lange referred to black-and-white film to capture one of her journeys and added it to her photo collection. Lange decided to publish her works only in 2008. Soon, two of Lange’s photography books came out - 50 Photographs and In Mexico. In 2013, she also released It’s About a Little Bird, a children’s picture book. During Jessica Lange acting career, she had also contributed to some songs as a singer such as one solo album From the Big Apple to the Big Easy: The Concert for New Orleans, song collection and many singles. In 2009, the actress’s vocal performance was included in TV series Grey Gardens’s soundtrack. 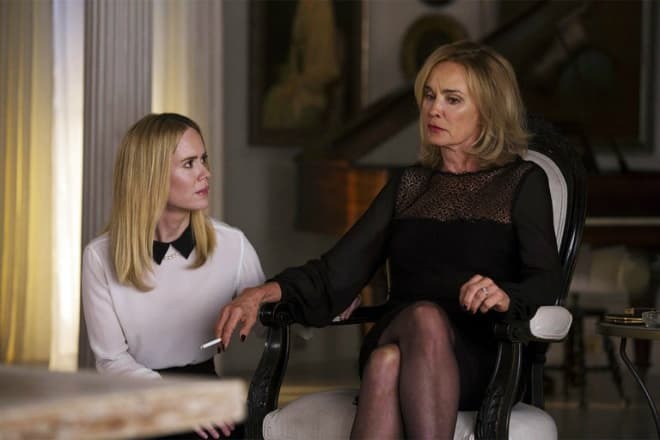 She also used her musical skills in two seasons of horror anthology series American Horror Story, where Jessica portrayed the Fiona Goode, the Supreme and the most powerful witch of her generation, the Sister of Jude, the character of Constance Langdon and Elsa Mars. Jessica Lange also produced and starred in 1984's drama Country. Jessica Lange was officially married to photographer Francisco “Paco” Grande from 1970 to 1981. She was still legally married to Grande when the actress had met a Russian ballet dancer Mikhail Baryshnikov in the middle of 70s. This event had completely changed Jessica’s personal life. With Baryshnikov, she had her first daughter, Aleksandra “Shura” Baryshnikov, who was ”typically Russian”, as Jessica said. Thanks to her husband, the actress got acquainted with Russian Soviet singer-songwriter Vladimir Vysotsky, according to her photo of 1976, on which Jessica Lange, Milos Forman, Vladimir Vysotsky and Marina Vlady were shown all together. 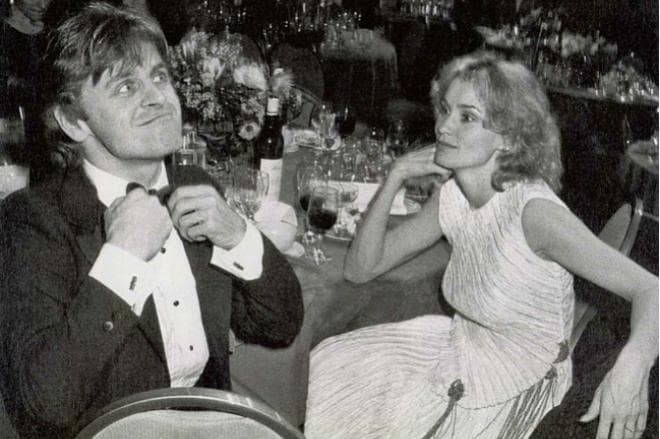 Baryshnikov made Jessica Lange go crazy with jealousy - all the creative beau-monde spoke about his love affairs. The press said that the dancer behaved extravagantly, forced Lange to cook incomprehensible Russian dishes, periodically raised his hand to Jessica, and often invited his friends to the house. During the first year of marriage with Mikhail Baryshnikov, the American actress visited the psychoanalyst 50 times. After the birth of the daughter, the couple's relationship improved, but it looked like a close friendship. In 1982, Jessica Lange was offered to play Frances Farmer in the movie Frances, so he had to move for a few months. On the set of its picture, she co-starred with her partner playwright Sam Shepard. They fell in love and immediately entered into a relationship, but the couple hid their relationships diligently. At that time, Shepard was married, and he had a son. After the shootings, the lovers separated and tried to live like before. They met again at the Oscar: Jessica Lange received Oscar nominations for two categories. 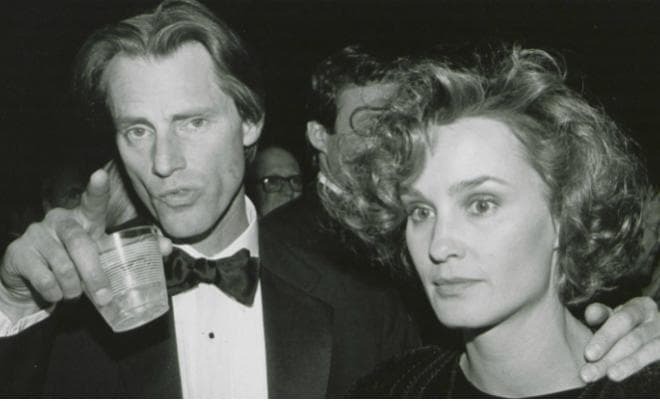 At the ceremony, Sam Shepard with his wife came to congratulate Jessica, and then, at that moment, she realized that she loved him. From 1982 to 2010, the couple lived together in Virginia. In their civil marriage, they had two children: daughter Hannah Jane Shepard and son Samuel Walker Shepard. Jessica said that country clothes and a quiet life on his own ranch in Minnesota along with loved ones made her much happier than fame and popularity. 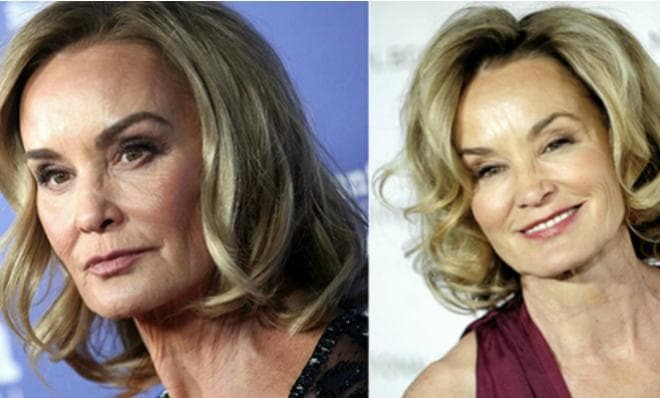 At the age of 60, Jessica Lange decided to appeal to a plastic surgery clinic, although she had strongly rejected such possibility before. The actress refused to answer questions about it, but that led to more speculation about her plastic surgery than ever. As specialists noted, it was evident that she had numerous procedures done, for example, full facelift, a brow lift, and Botox injections. Though she does not follow any set religion, Jessica periodically practices Buddhism. She is also a vegetarian. The woman does not have her account on Instagram; that’s why her loyal fans created fan-site, dedicated to their idol’s work. 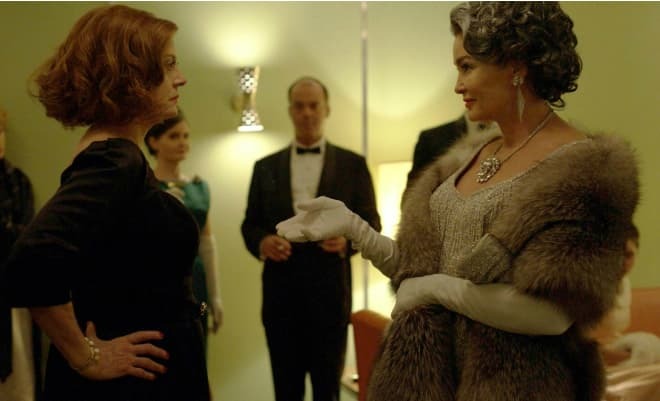 In 2017, Jessica Lange next starred in the eight-episode TV series Feud where she was also serving as producer alongside Susan Sarandon, who also co-starred. They played the two main Hollywood stars - Joan Crawford and Bette Davis, who were competing for a long time since shootings in 1962. Nowadays, the eighth season of American Horror Story should be released, in which Jessica Lange still stars. Her appearance was planned to be in an expected project of Gary Oldman - Flying horse.